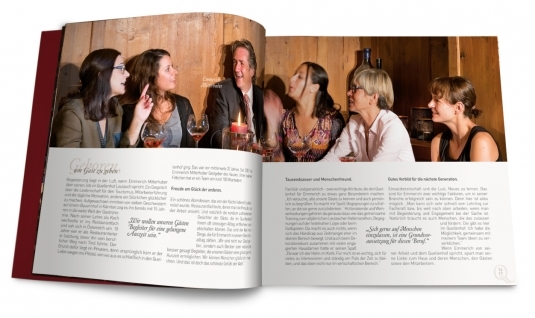 A new brochure for Quellenhof Leutasch. Incomparable and simply exceptional when it comes to relaxation, food and wellness - the Quellenhof Leutasch stands for the extraordinary. Those qualities are also reflected in the design of the new brochure for the 4 star superior accommodation in Tyrol. All new - a modern square format and elegant embossing invite you to browse, research and read. In addition to the numerous offers, you can also get to know the people who make your experience happen. Vibrant colour images bring to live the love for detail, as well as hotel focal points and capture the enjoyment of living right in the heart of nature. A delight to look at - they will make you crave the real thing. 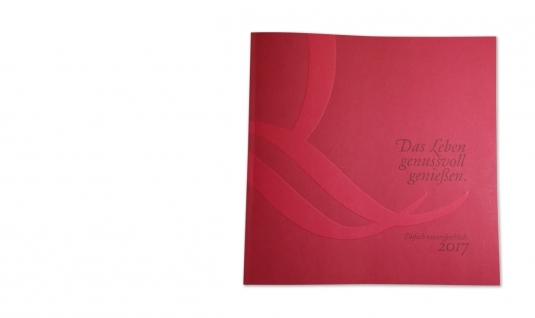 Our goal was to combine and present the high quality and wide range of services offered by the Quellenhof Leutasch through a modern visual language transformed into a folder that does more than just list information. 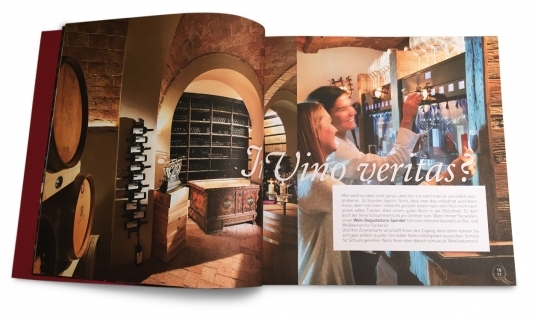 Guests will no doubt be able to recognize the extraordinary experience at hand with the provided information, images and layout while browsing through the brochure. No questions will remain unanswered. Except for the desire to experience the Quellenhof Leutasch at first hand.